the city that can help. Together they designed a mural to tell the story. 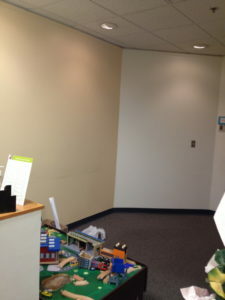 Over the course of a few days, they painted the mural on the wall of the Head Start’s entryway. 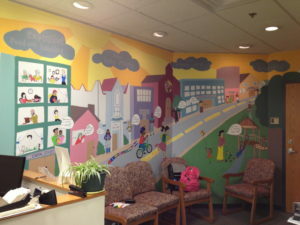 In addition to brightening the space, the mural became a tool to support intakes for the program. Now, the staff person who asks questions during an intake can refer to the images in the mural to ask about challenges faced by the family and to share resources.